Toyohara Kunichika (1835-1900) Actors on Battledores: Ichikawa Sadanji as Daiba no Jinzo in the play Choseiden Kogane no Shikigawara, 1880’s. Koban. 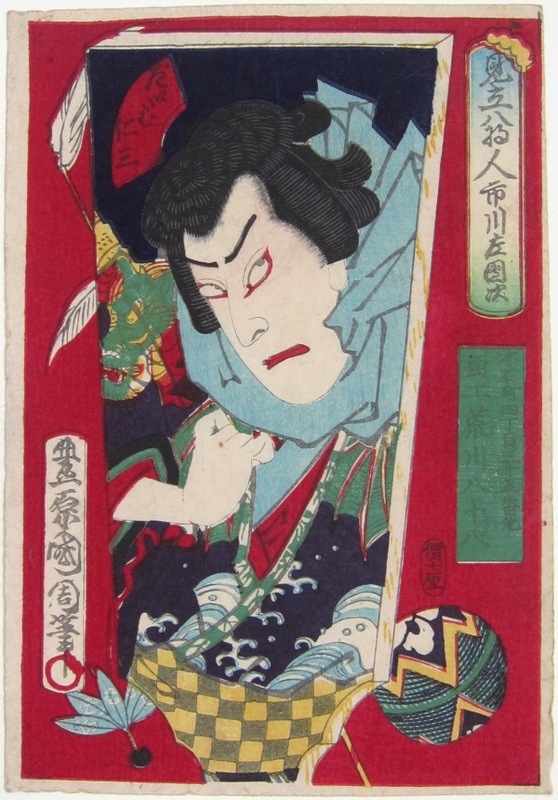 This print shows a portrait of the kabuki actor Bando Hikasoburo in the play Choseiden Kogane no Shikigawara. Sadanji was one of the great triumvirate of actors who dominated the Meiji kabuki scene.